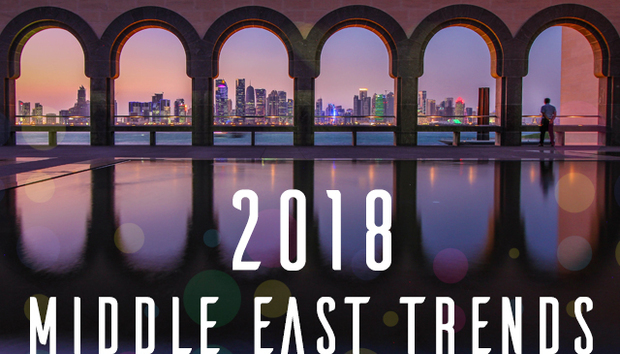 Middle East trends 2018: Can tech really replace oil? The Middle East’s wealth is seemingly tied to oil forever. For so many economies in the region, oil is everything and the source of its wealth, especially in Saudi Arabia, UAE, and Qatar. As technology changes so too does the oil sector. The Middle East presents a unique cybersecurity threat and as a result, the energy sector has faced waves of cyberattacks, whether for financial gain or real world physical damage. Five years on from the Shamoon malware attack on Saudi Aramco, the world’s biggest oil company, defences have been shored up to protect the region’s lifeblood but at the same time, there are regular attempts to diversify its interests. Many Middle East countries have identified the ICT sector as a necessary investment to secure their future and maintain their wealth. Saudi Arabia is building a $2 trillion sovereign wealth fund to invest in different industries in a bid to differentiate away from oil, including big moves in technology. This has included a significant investment in SoftBank’s technology fund. The country previously invested $3.5 billion in Uber. Other countries and cities have taken a similar route, especially areas like transportation and government. Dubai is trialling autonomous “air taxis” with Germany’s Volocopter. Furthermore, it has set an ambitious goal of being a “blockchain capital” by moving all key governmental functions to distributed ledgers by 2020.